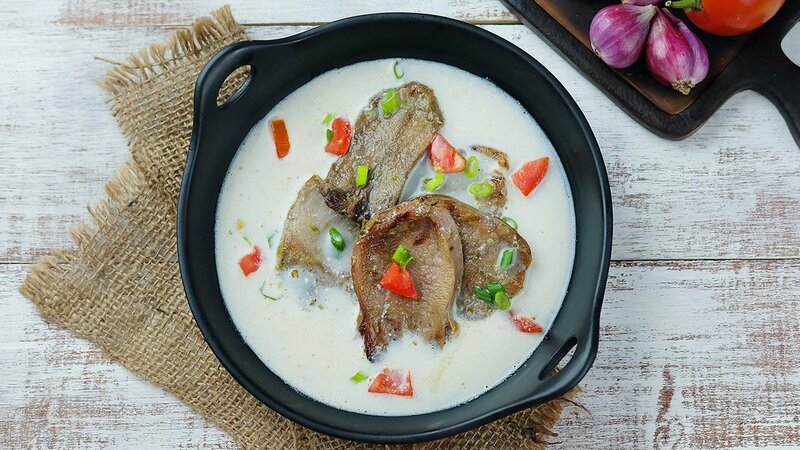 Like no other soto, Soto Lidah Oseng is a stir-fry beef tongue served separately with beef broth. The flavor and aroma is having its own uniqueness. Wash the beef tongue and boil it with salt, Knorr lime powder and bay leaf. Lift the beef tongue and discard the skin. Slice the beef tongue or cut as you like. Put the water in the pan. Put Royco Bumbu Ayam Kuning, heat until boiling. Add Royco Bumbu Pelezat Rasa Sapi, salt, pepper, lime leaves, bay leaves and coconut milk. Spring onions and fried onions served while serving the soto. Saute the shallot and garlic. Add the sliced beef tongue. Season with Royco Bumbu Pelezat Rasa Sapi. Serve on a plate with chunks of tomatoes, lime, spring onion and fried onions. Pour the soto broth in a bowl with fried onions and spring onions.